The Subaru of today is no longer just for mountain-dwelling dog owners. Combining brilliant performance with 5-passenger seating, the 2019 Subaru WRX is ideal for the family driving enthusiast on a budget. 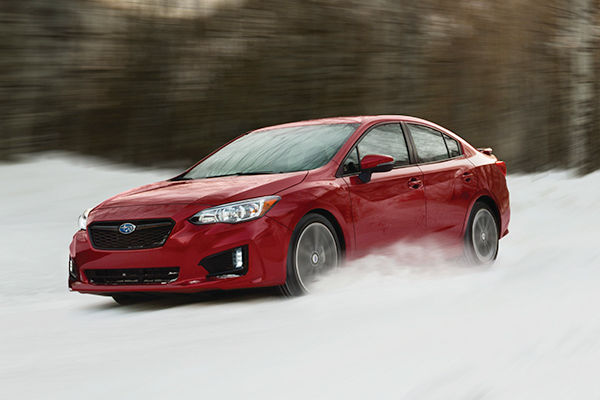 Excellent safety scores, standard all-wheel drive and great fuel economy make the 2019 Subaru Impreza the ideal compact car. 2017 Subaru Impreza vs. 2017 Toyota Corolla: Which Is Better? Although the 2017 Toyota Corrolla is the best-selling compact car, we think the 2017 Subaru Impreza is actually the better choice. Upgrading to all-wheel drive doesn't mean breaking the bank. The 2018 Subaru Impreza impresses with its roomy interior, excellent safety features, great fuel economy and standard all-wheel drive. Here's some good news: All-wheel-drive cars don't have to cost a lot of money. If you want the capability and peace of mind that an AWD vehicle provides, there are several options that cost less than $25,000. One even falls below $20,000! 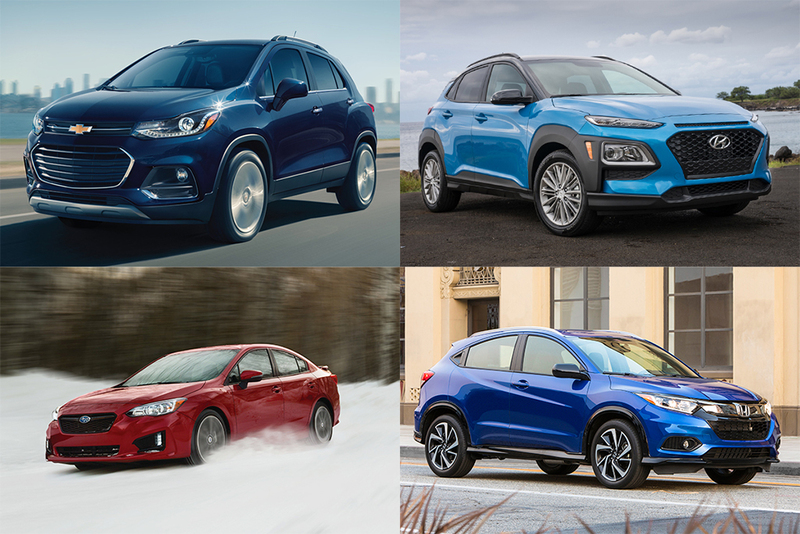 As carmakers shift their focus to crossovers, every year new, more-affordable models appear on the scene. 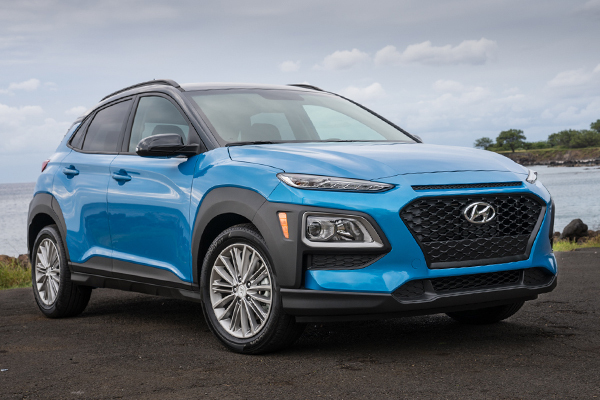 One of our picks, the Hyundai Kona, falls into this category. Here are eight AWD cars that won't bust your budget. Vehicles are arranged from lowest to highest in terms of price, and all prices include the factory destination fee. The first of three Subaru models on this list, the 2019 Subaru Impreza holds bragging rights of being the most affordable AWD car sold in the U.S. At $19,480, the Impreza comes with Subaru's 152-horsepower 2.0-liter flat 4-cylinder engine mated to a 5-speed manual transmission. This pairing is good for 31 miles per gallon on the highway. Stepping up to a Continuously Variable Transmission(CVT) with better estimated mileage will tack $1,000 to the bottom line. Standard features include full power accessories, STARLINK multimedia interface with a 6.5-in touchscreen and keyless entry. Impreza should have "value" stamped on its front doors. A new addition to Hyundai's lineup, the 2018 Hyundai Kona comes with a 147-hp 2.0-liter 4-cylinder engine mated to a 6-speed automatic transmission. Adding AWD to the base SE grade brings the price to $21,780. Estimated highway fuel economy is 30 mpg. In addition to full power accessories, the Kona comes standard with a 7-in touchscreen, Apple CarPlay and Android Auto, automatic headlights, LED daytime running lights and remote keyless entry. Oh, and there's that 10-year/100,000-mi powertrain warranty, too. There are loads of available safety and driver-assist technologies, but you must opt for a higher grade to qualify for them. The 2018 Ford EcoSport is all about fuel economy. It's remarkable that AWD is offered across all of its grades. Adding it to the base S trim brings the price up to $22,585. When you opt for AWD, power comes from a 166-hp 2.0-liter 4-cylinder engine. A traditional 6-speed automatic, rather than a CVT, helps a bit with acceleration. The result is 29 mpg on the highway. The S meets today's definition of "bare bones." Other than full power accessories, cruise control, a tiny 4.2-in infotainment screen and a backup camera, there aren't many amenities. The most notable thing about the EcoSport is its affordable price tag. Yep, another Subaru. Decades ago, Subaru chose to concentrate on AWD and it has been a hallmark of the brand ever since. Because Subaru also focuses on smaller, more fuel-efficient vehicles, it offers value across the lineup. 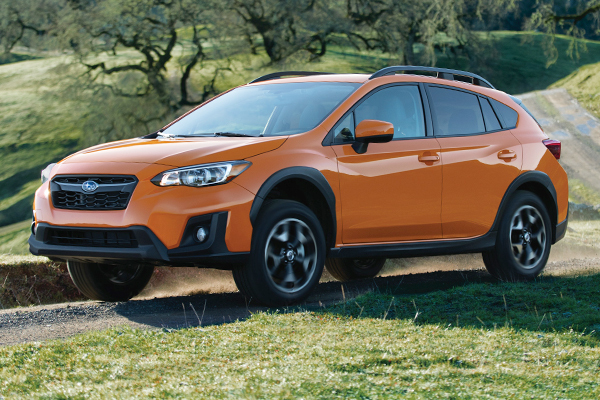 The $22,870 Crosstrek is the most recent addition to Subaru's portfolio. With 8.7 inches of ground clearance, the 2019 Subaru Crosstrek is ideal for heading off of pavement for a weekend activity. It offers a maximum 52 cu ft. of cargo space and integrated roof rails for carrying kayaks and so forth. 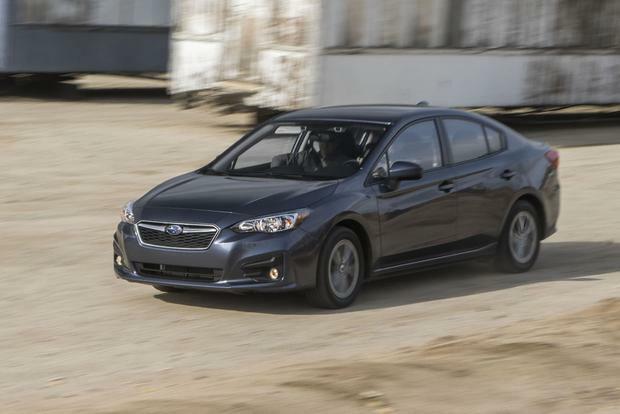 Like the Impreza, it uses a 152-hp 2.0-liter flat 4-cylinder engine to turn all wheels via a 6-speed manual transmission. Estimated highway mileage is 29 mpg. With a reputation for durability, Honda builds cars that last. 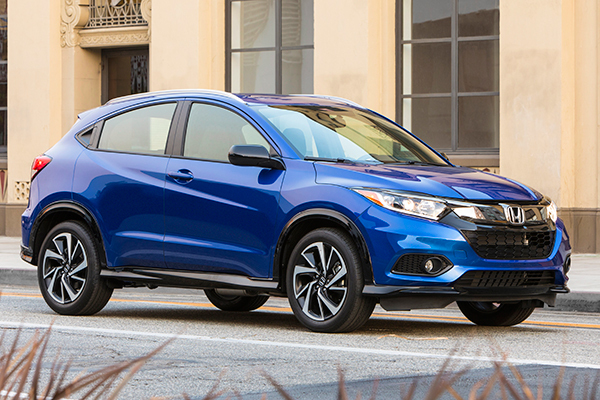 The $22,915 HR-V plants the brand's flag in the small CUV segment. 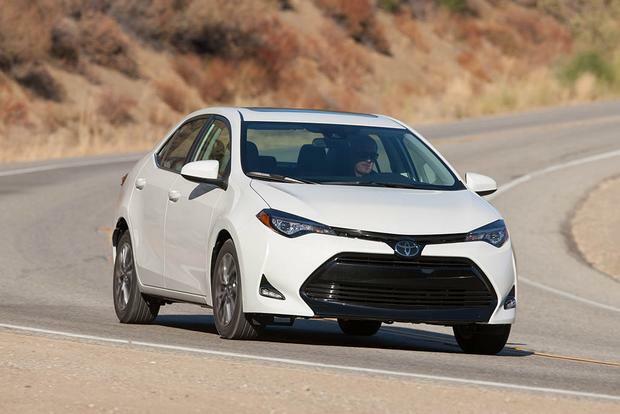 Following a pricing model that allows for very few options, adding more than the available AWD system may see you move up to another trim level. But that's okay, even the base LX is fairly well equipped. Armed with a 141-hp 1.8-liter 4-cylinder engine bolted to a CVT, this crossover is more about mileage than aggressive acceleration. It achieves an estimated 31 mpg in highway driving. Full power accessories and a 5-in touchscreen are standard. 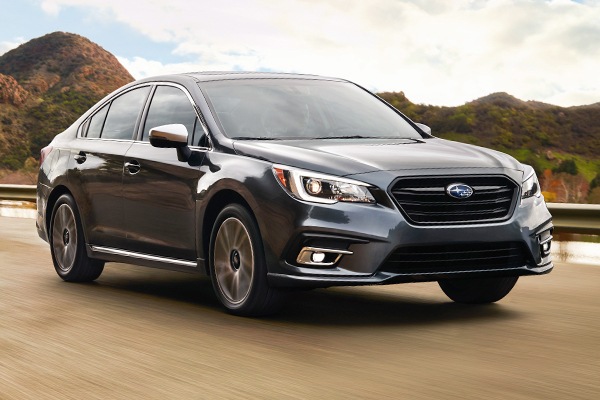 The second of Subaru's AWD cars, the 2019 Legacy uses a 175-hp 2.5-liter flat 4-cylinder engine paired with a CVT to motivate all its wheels. Even with AWD, the $23,430 Legacy delivers an estimated 34 mpg on the highway. Not the most handsome stallion in the stable, the Legacy makes up for its plain-Jane styling with lots of standard features including EyeSight Driver Assist Technology with adaptive cruise control, pre-collision braking, lane-departure warning and lane-keep assist. Also standard is STARLINK multimedia interface with a 6.5-in touchscreen, Apple CarPlay, Android Auto and satellite radio capability. 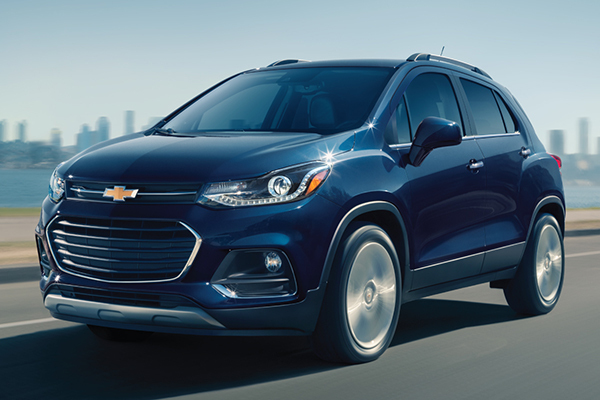 The 2019 Chevrolet Trax is Chevrolet's interpretation of the small CUV and the LS trim with AWD rings the register at $23,495. Powered by a 138-hp 1.4-liter turbocharged 4-cylinder engine, the Trax uses a 6-speed automatic transmission to hustle engine output to the wheels. On the highway, it knocks out an estimated 30 mpg. In addition to full power accessories, the base Trax comes standard with 10 airbags, a fold-flat front-passenger seat, MyLink infotainment interface with a 7-in. touchscreen, a 6-speaker audio system, Apple CarPlay, Android Auto and 4G LTE Wi-Fi hot spot. 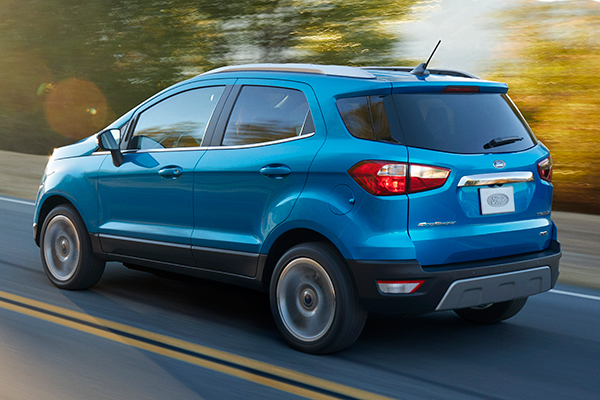 The Trax is a roomy, relatively fuel-efficient and nicely appointed small crossover. If you're looing for a vehicle with AWD, you can't pass up the Jeep store. 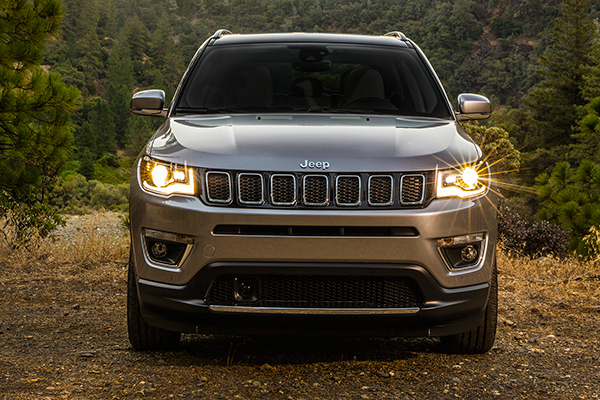 The most expensive of our picks, the $24,590 Compass, generates thrust with a 180-hp 2.4-liter 4-cylinder engine. For the stated price, a 6-speed manual transmission sends power to the wheels. An optional 9-speed automatic transmission will set you back another $1,500. With the manual, the highway mileage is 31 mpg. Compass AWD offers Selec-Terrain traction settings for Snow, Sand, Mud and Auto. Standard features include full power accessories, dual-zone auto climate control, and Uconnect 4 with a 7-in touchscreen, Apple CarPlay, Android Auto and a 6-speaker audio system.